News items appear in order that the information was last updated. If you are looking for a specific news story and do not see it listed, please use the site search. Consulting Enologist and Retired Senior Vice President E.B. “Pete” Downs of Kendall-Jackson Winery joins a prestigious group of wine and grape industry leaders to receive the American Society for Enology and Viticulture’s (ASEV) Merit Award for outstanding contribution to the Society and the industry. Downs will receive the 2015 Merit Award following his presentation, “Politics and Wine – Lions and Tigers and Bears, Oh My!” on Thursday, June 18, at the 66th ASEV National Conference in Portland, Oregon. Davis, Calif., February 27, 2015…After more than three decades of leadership, Lyndie Boulton will retire as executive director of the American Society for Enology and Viticulture (ASEV) at the end of June. The ASEV Board has appointed Assistant Executive Director Dan Howard to assume management of the 2,000 member organization as the new executive director. DAVIS, Calif., February 19, 2015…The American Society for Enology and Viticulture (ASEV) has selected the 2015 Best Paper Awards, with the generous support of J. Lohr Vineyards. The selected authors will be recognized at the Society’s 66th National Conference on June 15-18 in Portland, Oregon. The American Society for Enology and Viticulture (ASEV) has selected the 2015 Best Paper Awards, with the generous support of J. Lohr Vineyards. The selected authors will be recognized at the Society’s 66th National Conference on June 15-18 in Portland, Oregon. Read Best Papers for Free! Eager to tap into the latest technology, trends and innovations shaping their industry, 14,000 wine and grape industry professionals from all over the world attended the 21st Unified Wine & Grape Symposium, which concluded its three-day run in Sacramento on January 29, 2015. As the largest wine and grape industry event of its kind in the Western Hemisphere, the Unified provides industry professionals with a unique opportunity to hear from experts on a range of emerging wine, winegrape and marketing issues, while also visiting nearly 700 exhibitors spread across a 170,000 square foot trade show floor. We are pleased to offer the Call for Abstracts for the 66th ASEV National Conference in Portland, Oregon USA. We encourage submitted abstracts based on original research and research updates in all areas of viticulture and enology. Abstracts on nitrogen in grapes and wine research are encouraged specifically for the Nitrogen Symposium. Research related to a wider nutrition theme will also be pertinent to National Conference sessions. Click here to read Linda Bisson’s Merit Award presentation summary from the 65th ASEV National Conference in Austin, Texas. We are pleased to announce that Raquel Abad will assume the Managing Editor position that Judith McKibben has held the past fourteen years. 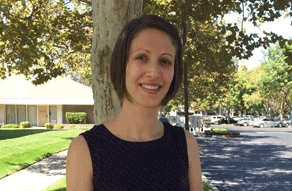 Raquel holds a Master of Library and Information Science and was a medical librarian for the University of California, Davis, for the past four years. The first combined efforts of the ASEV national and chapter board members for June’s 65th National Conference and the Eastern Section’s Annual Meeting in Austin, Texas delivered great times and positive results. Highlights included the Eastern Section student Oenolympics and touring Texas wineries. Click here to enjoy the 2014 conference photos. 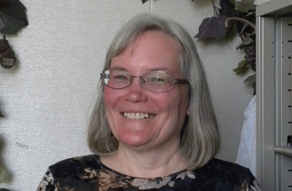 Dr. Terry Bates, director of the Cornell Lake Erie Research and Extension Laboratory (CLEREL) and senior research associate at Cornell University, will be the first recipient of the American Society for Enology and Viticulture’s (ASEV) Extension Distinction Award. This honor recognizes a current extension educator for outstanding contribution to an extension program or the advanced translation of novel research findings into commercially applicable tools for enologists or viticulturists. Dr. 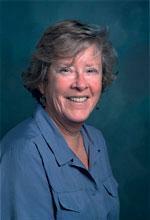 Professor and geneticist Dr. Linda Bisson of the University of California, Davis, will join a prestigious group of wine and grape industry leaders who have received the American Society for Enology and Viticulture’s (ASEV) Merit Award for outstanding contribution to the Society and the industry. The American Society for Enology and Viticulture (ASEV) has announced the 2014 best enology and viticulture paper awards, based on all research articles published in the American Journal of Enology and Viticulture (AJEV) in 2013. The authors will be recognized at the 65th ASEV National Conference on June 23-27, 2014, in Austin, Texas. The American Society for Enology and Viticulture’s (ASEV) 65th annual National Conference is being held in conjunction with the ASEV Eastern Section’s 39th Annual Meeting from June 23 through 27 at the Hyatt Regency in Austin, Texas. Known for its food and music, Austin offers those attending the conference a taste of the southwestern vibe while meeting with leading researchers, growers and vintners from around the world to discuss current issues and science shaping the industry. 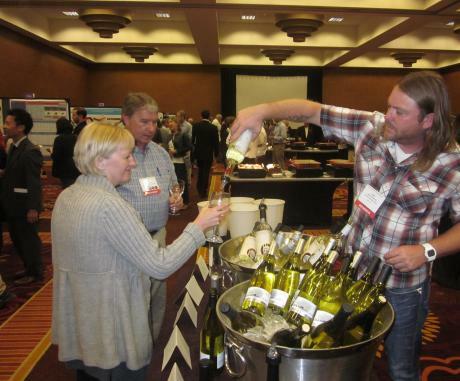 Registration and housing for the 2014 Unified Wine & Grape Symposium opened Tuesday, October 29, 2013 at 9:00 am (PDT). Registration (for the conference) and housing (for hotel rooms) are offered separately. We recommend you book your room first and then register for the conference. Videos on Demand Available Now! Videos of presentations from the 64th ASEV National Conference Rootstock and Tannin Symposia are available FREE for ASEV members – click here to view available presentations. If you’re not yet a member, learn more. The American Society for Enology and Viticulture (ASEV) has confirmed Dr. James Kennedy as the 2013-2014 president. Chair of the Department of Viticulture and Enology at California State University, Fresno, Kennedy succeeds Leticia Chacón-Rodríguez of Treasury Wine Estates to lead the ASEV’s 12-member board. AJEV is fortunate to welcome two new editors in 2013. Professor Felipe Laurie, of the Universidad de Talca, Chile, became an associate editor in chemistry in January 2013. Dr. Eveline Bartowsky, of the Australian Wine Research Institute, has agreed to serve as an associate editor in microbiology. “AJEV welcomes the expertise of these two international professionals and renowned scholars who will add even more breadth and depth to our outstanding group of associate editors,” noted AJEV Science Editor Linda Bisson. Exceeding last year’s attendance, 600 wine and grape industry leaders, researchers and other academic representatives from around the world attended the American Society for Enology and Viticulture’s (ASEV) 64th National Conference. Hosted last week in Monterey, California, the conference serves as the national platform for the wine and grape industry to disseminate current research reports and present seminars on technology and other themed topics of importance to the industry. The American Society for Enology and Viticulture (ASEV) has announced the 2013 best enology and viticulture papers, with the awards generously sponsored by J. Lohr Vineyards & Wines. The honored researchers will be recognized at the Society’s National Conference on June 24-28, 2013, in Monterey, California.